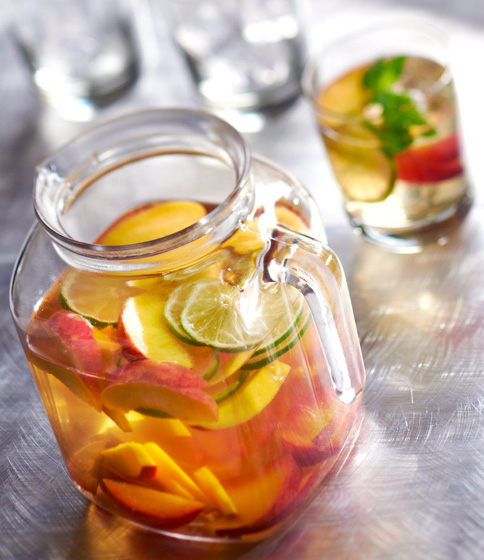 Is there anything quite as refreshing as a cool glass of Sangria on a hot summer evening? Try this white wine version I recently concocted for a studio party. It’s delicious! Sangria is not an exact science. Try experimenting on your own with various fruits and sweeteners….the combinations are endless. And let us know if you come up with your own signature Sangria! • Just before serving, stir in club soda. Serve over ice with mint. Sip!